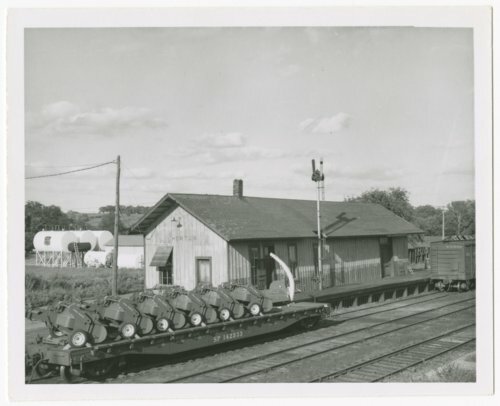 This photograph shows the Chicago, Rock Island & Pacific Railroad depot in Horton, Kansas. In the foreground equipment is on a flatcar. The one-story wooden structure was part of the Missouri-Kansas Division, Sub. Division 36-A at milepost 40.8.